Health care decisions can be difficult under the best of circumstances, but they’re even harder when patients can’t speak for themselves. In Colorado, the law says that no one is approved automatically to make medical decisions for another adult if they are unable to make those decisions for themselves – not even spouses, adult children, or other family members. Adults can give their loved ones clear directives about their wishes. The proces is even easier now with easy-to-access information on My Health Connection. Photo by UCHealth. “Having the individual let us know who they trust to make medical decisions is the most important step and knowing how they would like us to care for them in case they are not able to make their own decisions is so important,’’ said Dr. Hillary Lum, physician and assistant professor of medicine in the University of Colorado School of Medicine Division of Geriatric Medicine. 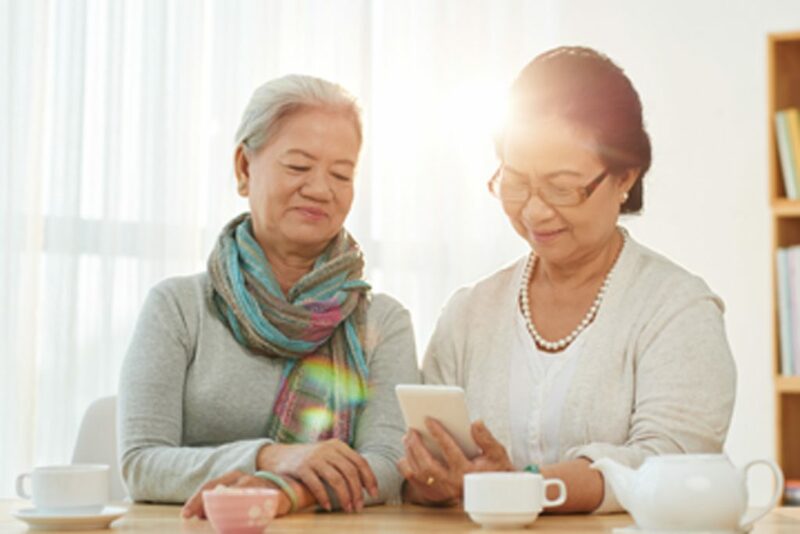 To help individuals take next steps when they are ready, UCHealth has new tools available through My Health Connection, the personalized and secure online access to an individual’s medical record. Once completed in My Health Connection, a MDPOA automatically becomes part of a patient’s medical record so that it is available for the health care team to view as part of the patient’s medical care. Patients are encouraged to share personal values, life goals and preferences regarding future medical decision making with their health care decision maker and their health care team. “One of the most loving acts that you can make for your loved ones is to let your wishes be known,’’ said Adreanne Brungardt, a research assistant and staff member of the Advance Care Planning Support Team. So far, response to the new opportunity has been favorable. More than 500 patients have already used the tools in My Health Connection. Individuals are all ages, ranging from 18 to 98 years old. Across the country, completion of advance directives remains low despite studies showing that advance care planning improved patient autonomy, satisfaction with care, quality of life at end of life and better psychological outcomes during bereavement. One of the advantages to the MDPOA being available in My Health Connection is that individuals can fill it out on their own time and with input from loved ones. “It gives people a chance to take their time and have others around to discuss,’’ Brungardt said. There is no charge to fill out the forms or to receive information. Individuals can call a central telephone number, 303-724-3141, to speak to a knowledgeable healthcare staff member who can help explain the documents. The My Health Connection patient portal represents UCHealth’s commitment to information transparency and seamless communication. The initiative to build a platform in a patient’s medical record is funded by The Colorado Health Foundation. The work is being conducted by the University of Colorado School of Medicine Division of Geriatric Medicine in collaboration with UCHealth’s Ambulatory Health Promotion Program, Population Health Service Organization Clinical Transformation and Care Management and other teams.